We are a booking agent for Jamelia, and can book Jamelia to her sing to your guests. Jamelia can also be booked to make a personal appearance at your corporate event, private party… Jamelia is one of the most successful black female artists to come out of Britain, with a host of top 5 hit singles, tours with Destiny’s Child, Justin Timberlake and Usher, a collection of MOBO and Q awards, a prominent modelling career and even being booked to perform for Nelson Mandela. Alongside music and modelling, Jamelia has made a number of TV appearances both presenting, reporting and guesting on panels. Jamelia’s career has spanned over fifteen years after being signed straight out of school at 15 to one of the biggest major record companies in the world. In 2004, Jamelia had three top 5 hits from her last album “Thank You” – the worldwide hit “Superstar” (no 3), “Thank You” ( no 2) and her co-write with Chris Martin, “See It In A Boy’s Eyes”, which reached No 5. Incredibly, Jamelia then stormed the top 10 again with “Stop”, her theme for the second Bridget Jones film. Her UK success was emulated in Europe where she was a continual serious chart presence, and in Australia and New Zealand where she reached No 1. Jamelia also toured around the world with Destiny’s Child, Justin Timberlake and Usher. 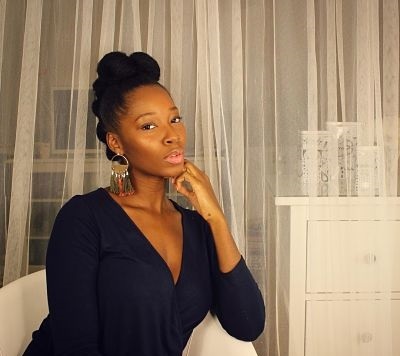 This triumphant period in Jamelia’s career also saw her sweep the board at the MOBO awards, where she won all of her three nominated awards, including “Best UK Act”. A week later no less a figure than Bono was genuflecting to her at the Q awards, where she won “Best Single” for ‘See It In A Boy’s Eyes’. Coupled with words of high praise at the same event from Elton John, you could have been forgiven for thinking things couldn’t get much better but not long after she won her first MTV award and a week later Jamelia was signed by the prestigious modelling agency ICM and swiftly got her first contract as the face/legs of Pretty Polly and also a high profile contract with Reebok. Jamelia walks the catwalk every year since 2007 for her UK model counterpart, Naomi Campbell and her Fashion for Relief show. Jamelia is also very active in working with ActionAid, Princes Trust and the Food Aid branch of the UN, the World Food programme which has seen her visit Nairobi, Kenya and Uganda. In 2008 Jamelia earned the coveted role of appearing alongside two of the world biggest supermodels fronting her own ethnic hair care range ‘Model Me’ stocked nationwide in Boots stores. 2009 saw Jamelia take on various TV roles including authoring her own documentary for BBC3 on ethical hair extensions which saw her travel to Russia and India and in 2011 it was the History of Single Mums. She also fronted her Channel 4 show, The House that Made Me, plus she was one of the judges on BBC3’s ‘Move Like Michael Jackson’. Jamelia has also in her career been lucky enough to meet Nelson Mandela and perform for him. More recently, Jamelia had a role as a judge on the Voice Ireland for two seasons with two of her acts making it to the final and one going on to win the show. Jamelia is also working on her next album and is currently in the studio working with various producers in both the UK and Atlanta. Jamelia joined the panel on ITV’s daytime show Loose Women in 2013 whilst also presenting pieces for Loose Women’s sister show, This Morning. Contraband is the UK’s top booking agent, with affable, experienced account managers who guarantee you the best deal possible. Contact us today if you would like to book Jamelia to be the headline of your event! We as your booking agent are more than happy to help you create the most memorable moments with Jamelia.